So this year we are going to let them dress up nice rather than wear their school uniforms. We are also having them decorate a box for Valentine's Day with their family and bring it to hold their Valentines. I will be sure to post the final products in my next post. Here is one of the math games my students like to play to practice addition math facts. Hope you are feeling better! 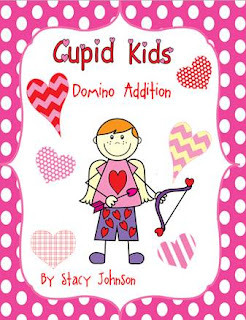 We are not having Valentine (or Halloween) parties this year (at least not the big hooplah kind where parents come. Just an assembly and then a sweet celebration with our classmates and some Valentines and candy (ok, probably a lot of candy!). 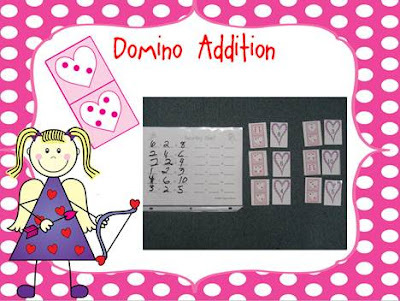 Thanks so much for sharing the Valentine Domino Addition game!